Xtra Mechanical is proud to be a Certified Partner to the strongly growing DEOS Controls Partner Network. The Smart Building Solution by DEOS Controls is an affordable and easy-to-configure building management solution for small to medium-sized commercial buildings which provides customizable HVAC control applications. DEOS Controls is one of the leading Innovators in Building Automation Systems. Their highly efficient, environmentally-friendly technologies help to conserve resources and reduce CO₂ emissions in many countries around the world. 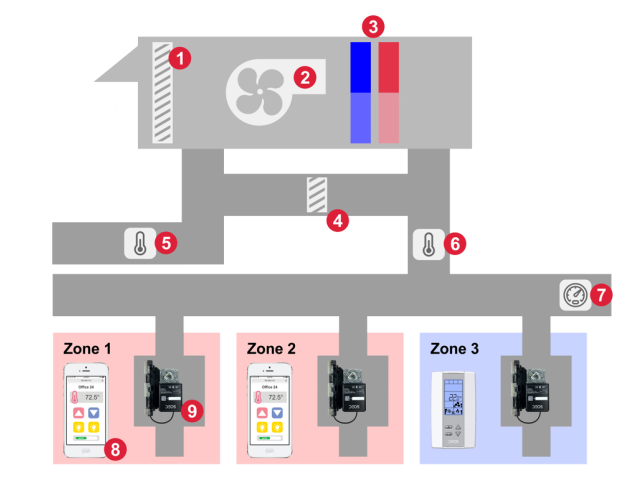 DEOS Controls’ all-new Zoning System is an affordable and easy-to-configure building management solution for VAV zones with rooftop units in light commercial applications (2 to 20 tons). It combines HVAC technology with ease of use at a fraction of the cost so that mechanical contractors can provide energy saving solutions to their customers without requiring a controls integrator. The all-new SmartBuilding Solution by DEOS Controls provides customizable HVAC control applications. Since we listen to today’s market needs, no additional software is required – it is simply embedded on the controller. Whether it’s VAVs, Fan Coils, Rooftop Units or Heat Pumps, our Smart Building Solutions comes with our extensive library of pre-engineered applications, which can be individually modified to meet customers’ special requirements or be used as-is. Benefit from using our leading technology platform – without reoccurring fees! Our ready-made and cost-efficient building integration technology modules enable OEM customers to quickly react to current market requirements. 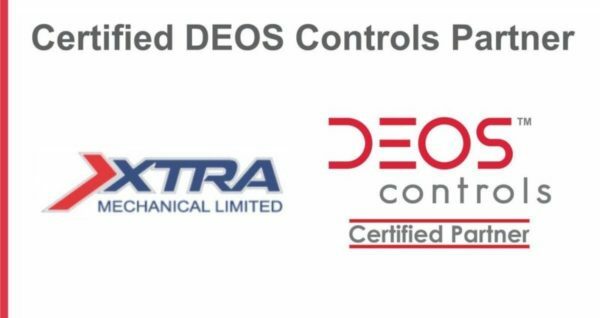 Xtra Mechanical’s partnership with DEOS Controls offers tailored continuous support for your building needs. OPENbalance, the innovative cost control system (CCS) signifies a revolution for buildings. 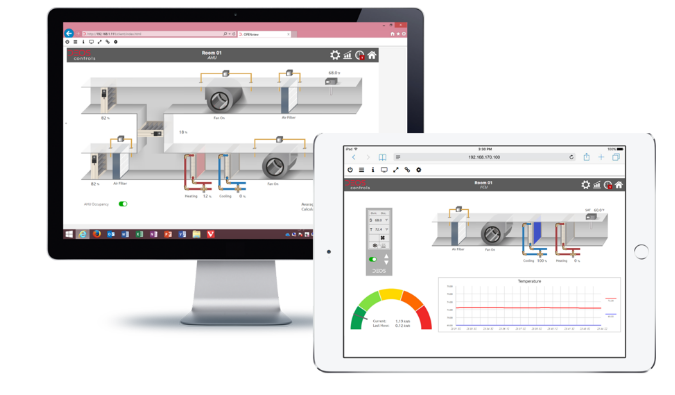 OPENbalance is the perfect efficiency solution for ventilation systems. It reduces ventilation technology energy costs, finds the most economical energy mix and still maintains a comfortable temperature and sense of well-being throughout all of a building. OPENbalance is an innovative efficiency solution, combining building management systems with cost transparency. Here, perfect room climate and energy savings go hand in hand. Do I need any software to operate a DEOS system? No. DEOS’s graphical user interface is fully HTML5 and accessible through any standard browser such as Chrome or Internet Explorer. Does the DEOS system require a dedicated on-site workstation? No. DEOS’s graphical user interface is hosted on the controller’s internal web server and accessible from any device such as a computer, tablet or phone. Do I get charged any recurring fees such as license or maintenance fees? No. The DEOS system is license-free. You buy it, it’s yours. It’s that simple. Can I set up the system in order to receive alarms on my cellphone? Yes. You can configure the DEOS controller in order to conveniently receive all alarms via email. I would like to monitor my building’s energy performance. Is the DEOS system capable of trending energy data. Yes. One controller can internally trend up to 250 data points with up to 70,000 samples. The data can be conveniently exported as an Excel file. Can I integrate third-party equipment? Absolutely. The DEOS system supports the industry’s standard protocols BACnet and Modbus and is capable of communicating with a huge variety of equipment such as RTU’s, VRF’s, etc. I have an existing DDC system that needs to be upgraded. Do I have to change all components? No. We at Xtra Mechanical are experts for sustainability and will verify the condition of each component. Thanks to DEOS’ compatibility with lots of products of the industry, in many cases we only add DEOS Control’s central controller that will communicate with existing equipment. – Henrik Plueth, DEOS Controls Americas Inc.
Control your commercial HVAC from anywhere in the world with Xtra’s HVAC controls and building automation system upgrades! XTRA Mechanical have consistently applied a proactive approach in providing their services to us, always staying one step ahead of our concerns in anticipation of future requirements.